Our Holiday Extravaganza! on December 9th was a joy from preparation to performance! Director Kia Lampe-Onnerud prepares to conduct the chorus and jazz orchestra. 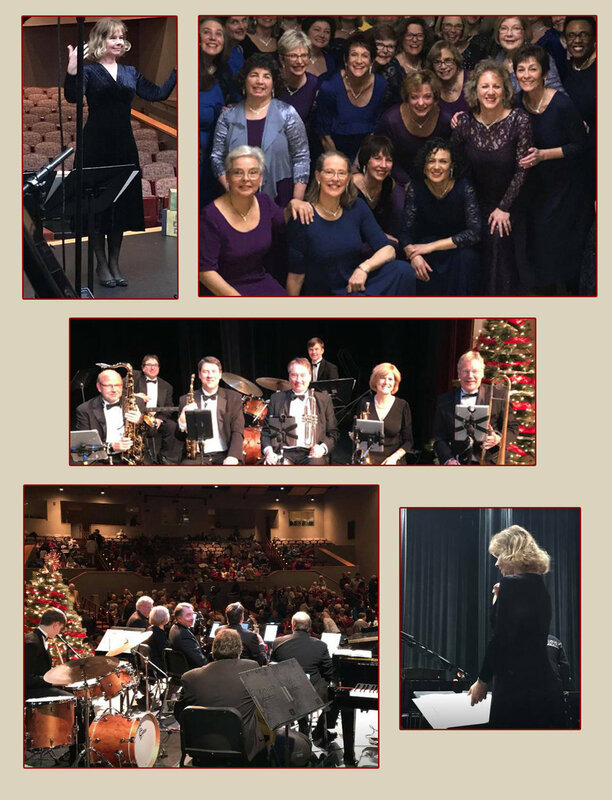 Silk’n Sounds chorus members pose backstage in high anticipation of the big show, while the Silk Jazz Orchestra musicians get ready to wow the crowd. Silk’n Sounds chorus members performed a range of pieces, filling the stage when joined by the North Haven High School girls.